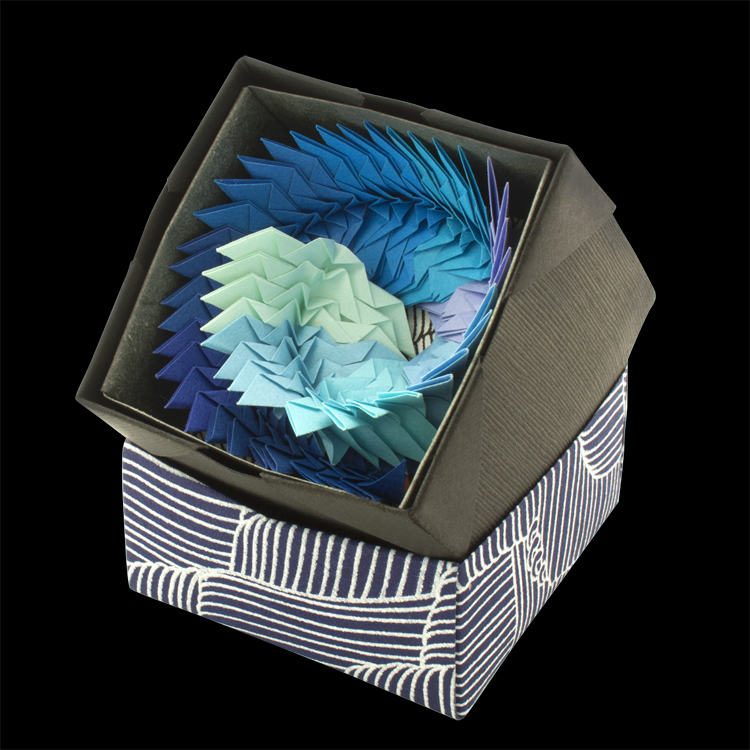 Remi is a graphic artist who learned origami at the age of 8 was inspired by the tradition of 1000 cranes for good luck. His version is 96 cranes held on a copper wire, slide one off and write a wish or give thanks and place it in the lower level of the box so you may reminisce about these blessings in the future. Styled by color and designed with a specific matching box.